Scleritis is an inflammation of the sclera, the white outer covering of the eye. The sclera is whitish in color and is made of collagen. Blood vessels travel through and on top of the sclera and can be involved in scleritis. Scleritis can be destructive to the eye, causing intense pain and loss of vision for some people. Although scleritis may be associated with trauma or infection, more than half of scleritis cases are associated with an underlying systemic disease such as rheumatoid arthritis, ankylosing spondylitis, systemic lupus erythematosus, polyarteritis nodosa, granulomatosis with polyangiitis, herpes zoster virus, gout, and syphilis. Scleritis is thought to be a sign of inflammation that may be present elsewhere in the body. It occurs most commonly between the ages of 30 and 60 years of age, and usually affects more women than men. There are two main types of scleritis: anterior and posterior. Scleritis is categorized depending on what part of the eye is affected. Diffuse Scleritis: The most common type of scleritis, involving the front half of the sclera. Nodular Scleritis: Small, tender nodules form on the sclera, representing generalized inflammation. Necrotizing Scleritis: Also known as scleromalacia perforans, this type can be very serious and may result in loss of vision. This type is more frequently associated with systemic autoimmune disorders. Posterior scleritis can be a much more severe form of the disease and sometimes difficult to diagnose. It is described as a change in the thickness of the posterior aspect of the globe, thickening of the posterior coats of the eye (choroid and sclera), and retrobulbar edema. Posterior scleritis is the rarest form of scleritis, involving the back part of the eye. This type may make the eye more susceptible to muscle problems, retinal detachment, and angle closure glaucoma. Many causes of scleritis are idiopathic or occurring for an unknown reason. Doctors never find a direct cause. Scleritis seems to be most often associated with inflammation occurring in the body from autoimmune conditions. Rarely, it is caused by infections and trauma. Doctors diagnose scleritis by evaluating your medical history. You will be given tests to measure your visual acuity and intraocular pressure. Your doctor will examine your eyes by using a slit lamp biomicroscope. Also, your eyes will be dilated to examine the inside of your eyes. 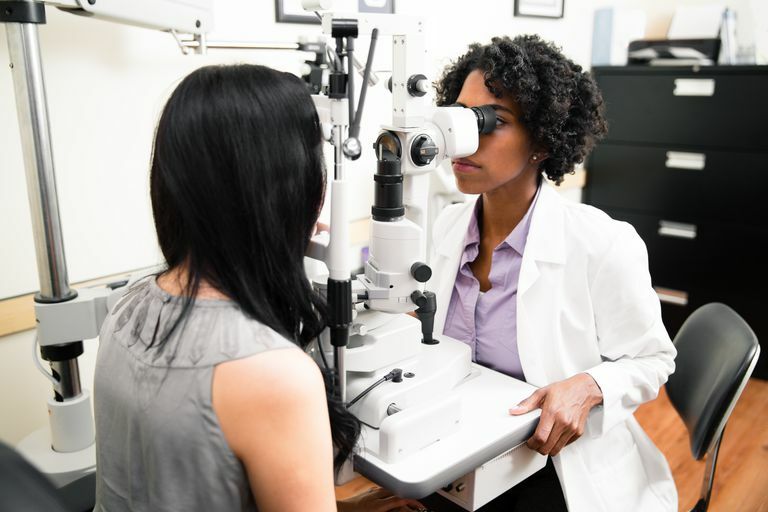 Your doctor may use certain eye drops to help distinguish between scleritis and episcleritis, a condition that may also be associated with autoimmune disorders but involves the tissue and vessels in the tissue between the sclera and the conjunctiva. If left untreated, scleritis can lead to significant loss of vision. Scleritis is usually treated with oral anti-inflammatory medications, such as ibuprofen or prescription-strength non-steroidal anti-inflammatory drugs. Oral steroids are often prescribed as is a direct injection of steroids into the tissue itself. Immunosuppressive drugs are sometimes used. Scleritis does not usually respond well to topical eye drop medication, however, so some doctors prescribe topical steroids and nonsteroidal anti-inflammatories. Treatment of associated problems with scleritis, such as glaucoma, may also be required. Because many cases of scleritis are associated with an underlying systemic disease, treatment is centered around treating that disease to stop the progression of scleritis. Pay attention to the systemic condition you may have that could predispose you to developing scleritis. Keep your doctor visits and take your medication. Even though you may feel fine, you could have inflammation developing silently. Stay out of the wind and air. Although this is more common in episcleritis, some cases of scleritis have developed from external exposure such as constant wind and sun. Eat healthily and take a multivitamin. Medical journals have reported cases of scleritis that were thought to be caused by a lack of certain vitamins, namely vitamin B12, C, and D.
Watson P. Diseases of the sclera and episclera. In: Tasman W, Jaeger EA, eds. Catania, Louis. Primary Care of the Anterior Segment, 2nd Edition. Copyright 1995 by Appleton & Lange.